Such a waste of talent and energy! A startup is much more than just a registered company as per the laws of the state; it’s like a flower nourished by relentless zeal, beautified with the colors of new hope and a new beginning. But it seems 6 out of 10 such flowers are crushed to death within the first 4 years of their existence. In a separate research conducted by Shikhar Ghosh, who is a senior lecturer at Harward Business School, it was found that 75% of all new businesses never return any money to the venture capital. Additionally, The National Venture Capital Association, which is a powerful association of venture capitalists in the USA says that 25-30% of startups are failure. If we had known the predictable reasons which cause such failures, there would be no failures in future! But yes, there are some inherent patterns of these failures, which we will discuss in this post. A new entrepreneur, who has just started up can relate with these pointers, and help his passion and zeal to survive. Here are the top 5 reasons which can sink a new startup! It is time to face some harsh realities now: money is the single biggest factor which causes most of the failures. As observed in most of the startup failures, as capital fizzles out, the passion and the zeal somehow weakens and a stage arrives when the sustaining the business operations is no longer viable. The keyword here is : Growth. Entrepreneurship is all about exhibiting exponential growth, a factor which entices venture capitalists and investors to put in their money. In case you are satisfied that the business is running and revenues are flowing in, then I am afraid it’s a wake up call for you; revenues aren’t the point here, it’s the profits. There should be a gradual increase in the profits, every month/quarter/year in order to remain a sustainable business venture. In case the entrepreneur has to cut some corners, let it be. If you want to protect your dream, you will have to do it yourself. A startup is no doubt a result of passionate love. But the decisions of that startup need not be emotional at all. A business needs profits to grow, and only logical decisions, backed by data can help that. Emotional decisions, based on sentiments and fantasy can bring down a startup faster than anything else. You can term that as a ‘psychological price’ of being an entrepreneur, but that is the fact. You need to be emotionally strong and logical while making the decisions related with your startup. Emotions and businesses don’t always mix well, and this is again, one of those harsh realities of entrepreneurship which one should remember always. The origin of any startup is a dream – you can have that dream since childhood, or something which you realized later. You start working on your dream; materialize into a startup and bingo! After the excitement of the launch diminishes, you wonder why the profits haven’t yet started? An entrepreneur should realize that he is not the center of gravity of the business; his customers are! Before even planning to sell the first product, the entrepreneur should study his target audience, his potential customers and decipher what exactly are his needs. Don’t just stand in their shoes, but walk.. run in them. Do market research and get the data. Legendary sales experts and marketing coaches suggests that you should know what your customer wants, even before they themselves know it. In a startup, the next most important person besides you is your business partner. Some business experts claim that selecting the right business partner is as important as selecting the right life partner! You will be sharing the successes, failures and the uncertainties together, which makes it extremely important that your frequencies match. 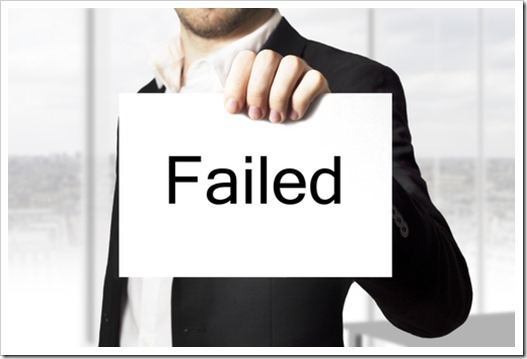 Wrong business partner is another one of the most crucial reasons for business failures. There are several reasons due to which a business partnership doesn’t work; and communication is one of the strongest reasons. Be transparent and be open regarding every financial or non-financial aspect of the startup with your business partner to avoid any future issues. And, always lookout for the warning signs. The entrepreneur should remove all fear and shyness while nurturing his startup. And one of the biggest hesitations is seeking help. Remember, you are not God. You don’t have control over everything, and the fact that you are running a startup means that you don’t know the answers! Admit the fact, and mentally prepare yourself to take help and assistance from the industry experts, as and when required. Forbes says that to build great companies, you will need great mentors. As simple as that. The growth stage of an entrepreneur requires that he kills away all hesitation and self-doubt when it comes to protecting his dream, his startup. In case you don’t feel like asking for help, despite knowing that your startup needs some urgent strategic help, remember the fact that it’s not about you, it’s about your startup. It is said that the default state of any startup is failure. The pointers mentioned here haven’t been written to scare you off, but to remind you that compared to success, failure is more common in this business, and you should be well prepared to handle it. Do you want to share any other pointers which can help other startups to remain strong and focused? Do share your views right here! "Top 5 Reasons Why 3 Out Of 5 Startups Meet Failure", 5 out of 5 based on 1 ratings. Is it Okay for a Social Impact Startup to be Driven by Profits? People who you started with are not the people you grow with – Clinging on to same staff who worked when the company started and eventually term themselves as a part of the “Core-Team”. They lack experience for growing the company.